I was thinking of starting off with Windows Vista’s application compatibility issues, but I have decided to delay that because I have not had enough free time to research the topic completely. So, instead of delaying the series any further I wanted to take the time and touch on another topic first. One of the problems that Windows Vista is facing is that it has to deal with fairly complicated market dynamics. In addition to its list of competitors, including the recent rise of Mac OS X, it also has to deal with its predecessors, Windows XP mainly, whose market has had a lot of time to mature. Windows XP was released in 2001 and the market has had all these years to fill in the gaps that were originally introduced and account for any technological advances. When looking at Windows Vista, many people forget this and present the “Windows XP can do that too” card. My goal for this article is to point out the differences in the base operating systems and outline a few of the features that are unappreciated by this group of critics. Once again, the goal is not to start an OS war, but to point out a few things that people are not paying enough attention to. The interesting thing is that the folks that say Windows XP had what Windows Vista has tend to also complain that Windows XP is missing several crucial pieces out of the box. 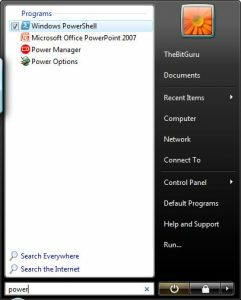 I am very much a power user and I know that I have to install at least a few utilities on top of base XP install before I would consider it ready for my daily use. TaskSwitch XP, Launchy and one of the desktop search programs like Google Desktop come to mind, but since I have completely switched to Vista and have not had to install XP in over a year and a half, I am probably forgetting other things that might also be necessary. Modern operating systems are expected to be fully functional right out of the box, and Windows Vista gets much closer to accomplishing this goal. Other than the initial release, which had a few bumps that were smoothed out in Vista Service Pack 1, I believe that Windows Vista has almost all of the necessary pieces necessary for a modern computing environment. To give you a better idea, below is a list of features that I believe are new or improved from the base Windows XP. I have also included the Windows XP counter-part utilities that I would have used. Three of the main reasons I used TaskSwitch XP1 were that it had window previews, supported arrow keys and allowed me to click on windows images to quickly switch to that program. Vista’s alt-tab switcher supports all three of these features (with the addition of live previews instead of just screenshots). Vista comes with integrated searching functionality that allows you to search documents and launch programs. This eliminates the need for Launchy1. In fact in Vista I haven’t bothered remembering where the different control panel applets are; instead I completely rely on the search to open the different pieces that I need (e.g. “power” for Power Options). Other than Vista Basic, tablet support is available in all other versions of Windows. You can use Windows Meeting space to quickly share screens, even across networks. I personally don’t use this as much, but there is also the sidebar, which eliminates the need for Google gadgets. I never liked the default themes supplied with Windows XP, but I really like Aero. You don’t have to worry about disk getting fragmented because the defragmenter is scheduled to automatically run. The improved backup tools can take care of most of the basic backup needs3. The improved Offline files functionality and interface is great. This list can go on and include things like Windows Calendar, Windows Media Center, but I am hoping that this gives you can idea. Let me know if you can think of other Windows Vista features that apply to wider audiences. Given the complexity faced by the Windows development team of remaining backwards compatible and making worthy advancements to the operating system I believe that they have done a good job on Vista. Obviously there are parts that need to be improved, but overall I believe that it is definitely a worthy successor of Windows XP. Please only leave constructive comments. 1 TaskSwitch XP is an excellent program and supports numerous additional features, including a very cool option of minimizing programs to the system tray. It is a must have for Windows XP, but even for Vista, at least give it a try, you might find it very useful. 2Once again, Launchy is an excellent program and supports many additional features, but for the built-in search should suffice for majority of the users. If you are a power user then I would suggest at least exploring Luanchy. 3In my case the built-in backup wasn’t enough because I prefer to only back up the important folders with sub-folder exclusions, but that is, understandably, a lot to ask for.